Leonardo Da Vinci (1452 – 1519) was the leading figure of the Italian Renaissance, who more than anyone else in history, represents an ideal polymath or a person with expertise in a wide variety of areas. In science, he is credited with several inventions and discoveries, and designed many things which were much ahead of his time; in art, he is considered one of the greatest painters ever and created the most famous painting of all time; and in anatomy, he did the most detailed study of the human body before the twentieth century. Da Vinci also had interests in other fields including architecture, botany, geology, music and literature but it wouldn’t be possible to cover all his contributions in a single article. Know about the main works of Leonardo da Vinci by studying his 10 major accomplishments and achievements. As an engineer, Da Vinci conceived ideas much ahead of his time. Among other things, he conceptualized the use of concentrated solar power, a calculator, a rudimentary theory of plate tectonics and the double hull. Also, his scientific studies remained unpublished during his time and many of his inventions were passed into general and practical use without Da Vinci being given credit. Among those inventions are the strut bridge, the automated bobbin winder, the rolling mill, the machine for testing the tensile strength of wire and the lens-grinding machine. 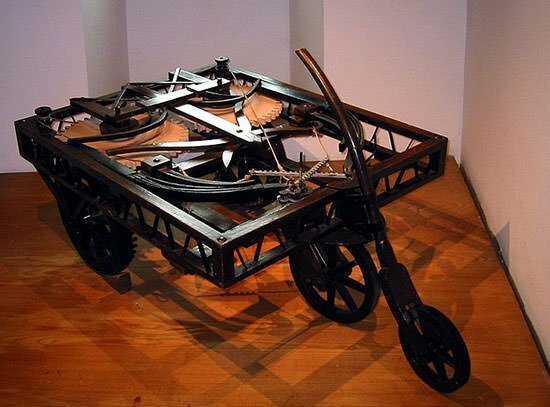 In 1487, Da Vinci designed a war machine which is today known as Leonardo’s fighting vehicle or Leonardo’s tank. The design required eight men to operate the machine, which had 36 guns poking out from its sides and a conical cover inspired by a turtle’s shell. 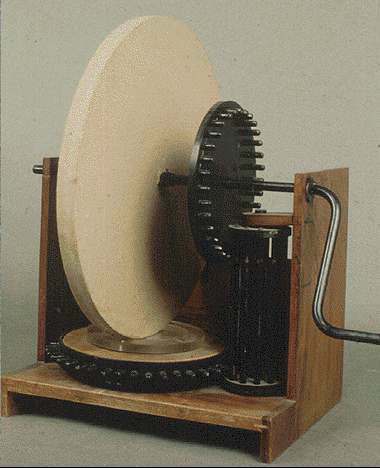 The system would be operated by a system of gears propelled by cranks that turned a sequence of wheels. In a BBC documentary, a military team built a workable machine from Leonardo’s tank design by changing one of the gears, an error supposedly done intentionally to prevent it from being used by unauthorized people. 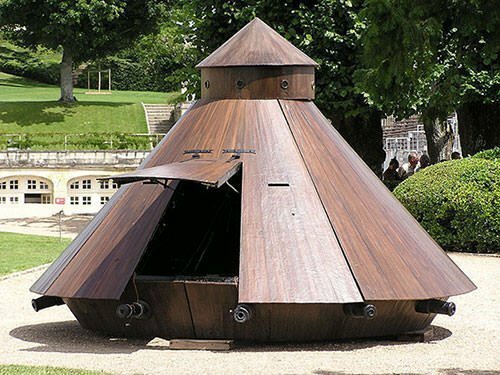 Da Vinci thus conceptualized the tank 400 years before it was actually used during the First World War. Around the year 1495, Leonardo da Vinci designed and possibly constructed, what today is known as Leonardo’s robot or Leonardo’s mechanical knight. 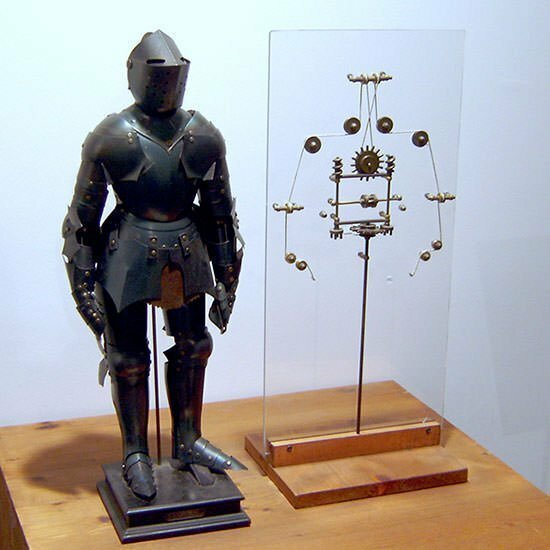 According to Da Vinci’s sketches of the key components, the knight was to be powered by an external mechanical crank and use cables and pullies to sit, stand, turn its head, cross its arms and even lift up its metal visor. Though no complete drawing of the automation exist, NASA roboticist Mark Rosheim used Da Vinci’s scattered notes and sketches to build a fully functional knight in 2002, suggesting that Leonardo may have been a pioneer in the field of robotics. While working in Venice, around the year 1500, Da Vinci thought of a way to protect the city from invading ships by sending men underwater in diving suits to cut holes in them. This led to his design of the diving suit. Though never made during his time, Leonardo’s diving suit was constructed using pigskin treated with fish oil to repel water for a BBC documentary. 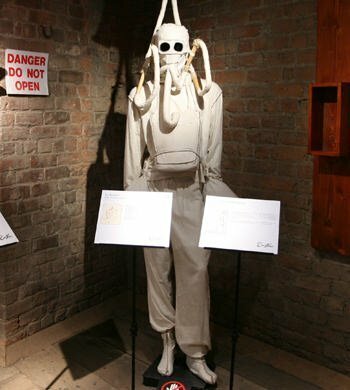 When the scuba divers tested the suit, they found it to be a workable precursor to a modern diving suit. Leonardo da Vinci was fascinated by the flight of birds and pursued his dream of building a flying machine throughout his life. He made the design of the earliest known modern parachute whose feasibility was successfully tested in 2000 by Briton Adrian Nicholas. Da Vinci conceptualized the helicopter making the first known drawing of any helicopter-like machine, four and a half centuries before it became a reality. However his human powered aerial screw wouldn’t have worked in practice. Da Vinci also made designs for the glider and landing gear. Other achievements of Da Vinci in science and technology include – designing a self-propelled cart, the first self-propelled machine in history and considered an ancestor of the modern automobile; inventing the miter lock, used on thousands of canals all over the world; designing a multi-barrel machine gun; being the first to incorporate ball bearings in an aerospace design; and describing the processes governing friction, which predated the introduction of Amontons’ Laws of Friction by 150 years. Leonardo first studied anatomy under Verrocchio, his master who believed that it was necessary to have its knowledge to be a good painter. Later, as a successful artist, Da Vinci was allowed to dissect human corpses. He wrote a treatise on anatomy in which he made more than 200 drawings. 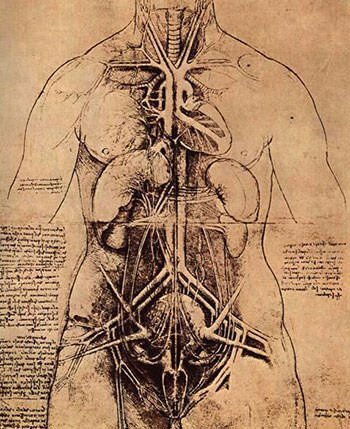 Leonardo’s sketches and diagrams indicate that he perhaps did the most detailed study of the human body before the twentieth century. However his studies were published more than a century after his death, that too under the name Treatise on Painting. Apart from human anatomy, Da Vinci also studied the anatomy of many other animals including cows, birds, monkeys and frogs. Da Vinci was the first to describe the double S form of the backbone. He dissected and drew the human skull and cross-sections of the brain, transversal, sagittal, and frontal. He also studied internal organs, being the first to draw the human appendix and the lungs, mesentery, urinary tract, reproductive organs, the muscles of the cervix and a detailed cross-section of coitus. 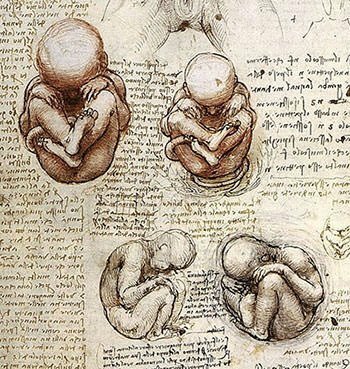 Da Vinci was one of the first to draw a scientific representation of the fetus in the intra-utero. He also correctly worked out how heart valves ebb the flow of blood. Leonardo’s impressive studies in science and engineering have only been recognized in the last 150 years. For four centuries before that his fame rested on the masterpieces he created as a painter. Among the qualities that make Leonardo’s work unique are: his detailed knowledge of anatomy, light, botany and geology; his keen interest in capturing how humans register emotion in expression and gesture; his subtle gradation of tone and the innovative techniques he used in laying on the paint. Da Vinci was not only one of the leading painters of his time but is also widely regarded as one of the greatest ever. 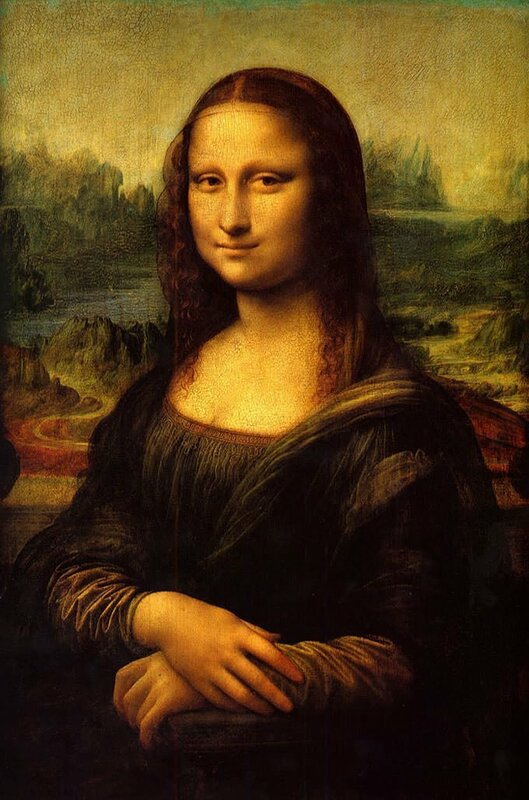 Between 1503 and 1507, Da Vinci painted the Mona Lisa though he kept working on it till the end of his life and never delivered it to its commissioner. The Mona Lisa has been acclaimed as “the best known, the most visited, the most written about, the most sung about and the most parodied work of art in the world”. Guinness World Records lists it as having the highest insurance value for a painting in history. It was assessed at US$100 million in 1962, which after adjusting inflation, would be around US$782 million in 2016. 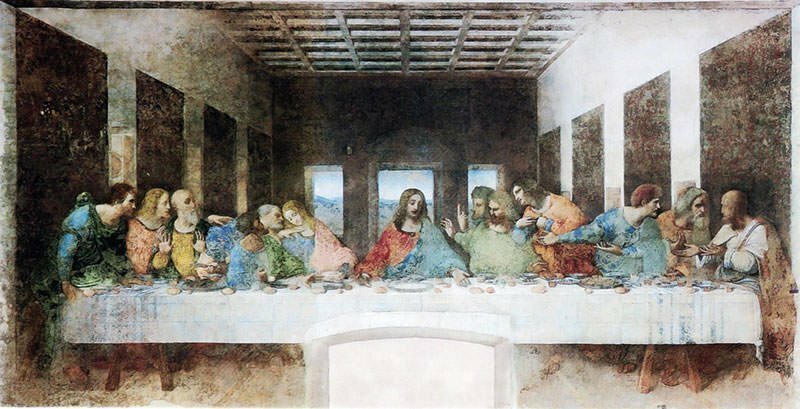 Other famous works in art by Da Vinci include The Last Supper, the most reproduced religious painting of all time; and Vitruvian Man, one of the most reproduced artistic images in the world also appearing on Italian 1 Euro coins. In 1485, a deadly plaque arrived in the city of Milan killing a large number of people. Da Vinci, who worked in Milan at the time, believed that poor sanitation caused the disease to spread so quickly. Challenged by the problem, Leonardo made sketches of a city which would be more sanitary and have features like a road system with drainage. The city would have a series of connected canals to be used for commercial purposes and as a sewage system. It was designed to have broad roads and elegant buildings featuring large arches and pillars. While designing what is known as Leonardo’s Ideal City, Da Vinci paid attention to fine details like fresh air vents in buildings and special stables for horses. However, the grand project was never implemented. then why are yu searching things about him. All of you are dumb.